The Bistro folding table by Fermob was designed in 1889 alongside the other fold-away furniture from the Bistro furniture collection. 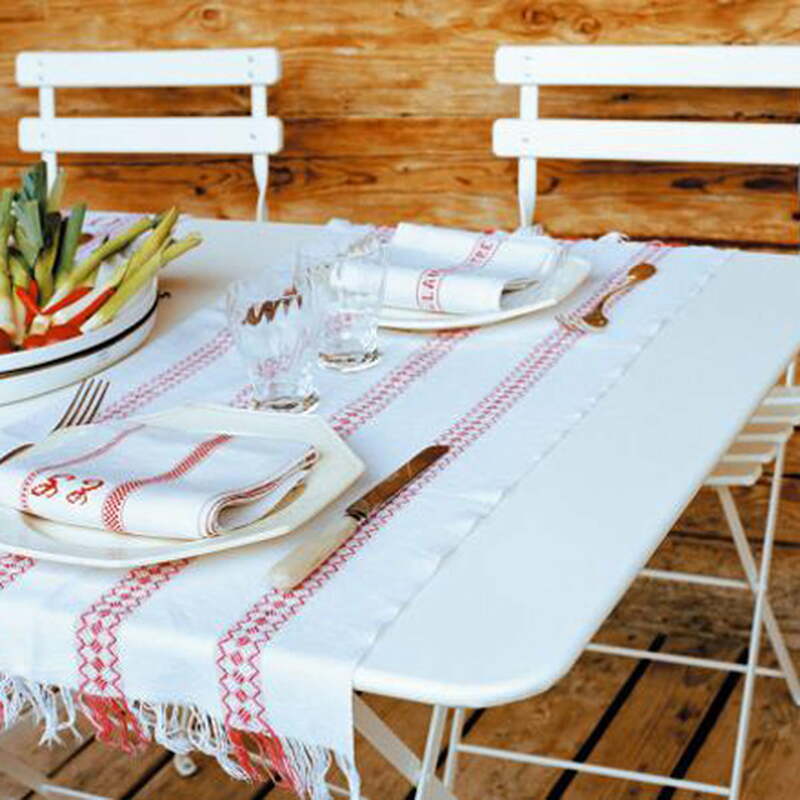 Authentic, harmonic and available in natural colours, the Bistro rectangular folding table by Fermob was and is an ideal companion for terraces, fields, and even inside the home. 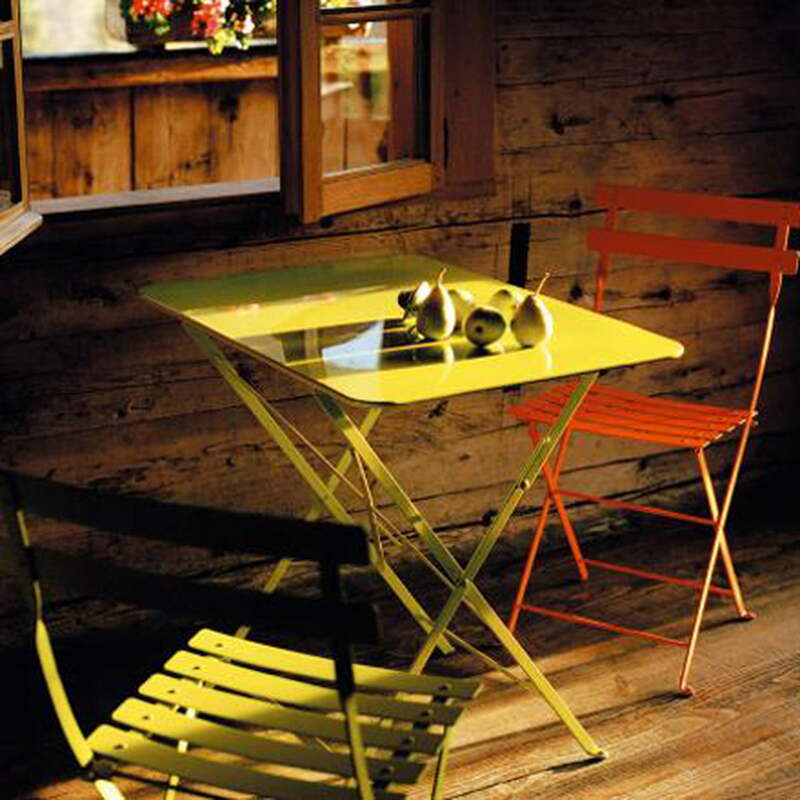 By the end of the 19th Century, the Bistro furniture collection was coveted by café owners and lemonade sellers across France, and it continued to grow in popularity. 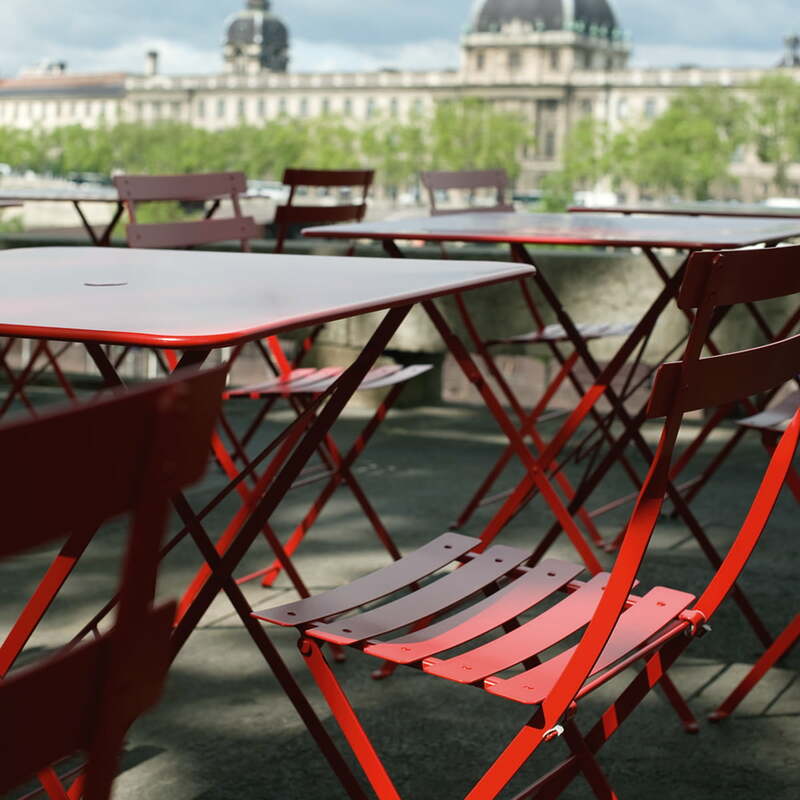 With its simple but robust design, the Bistro folding table is ideally suited for outdoor use. The table and matching chairs by Fermob are easy and quick to fold away for space-saving indoor storage. 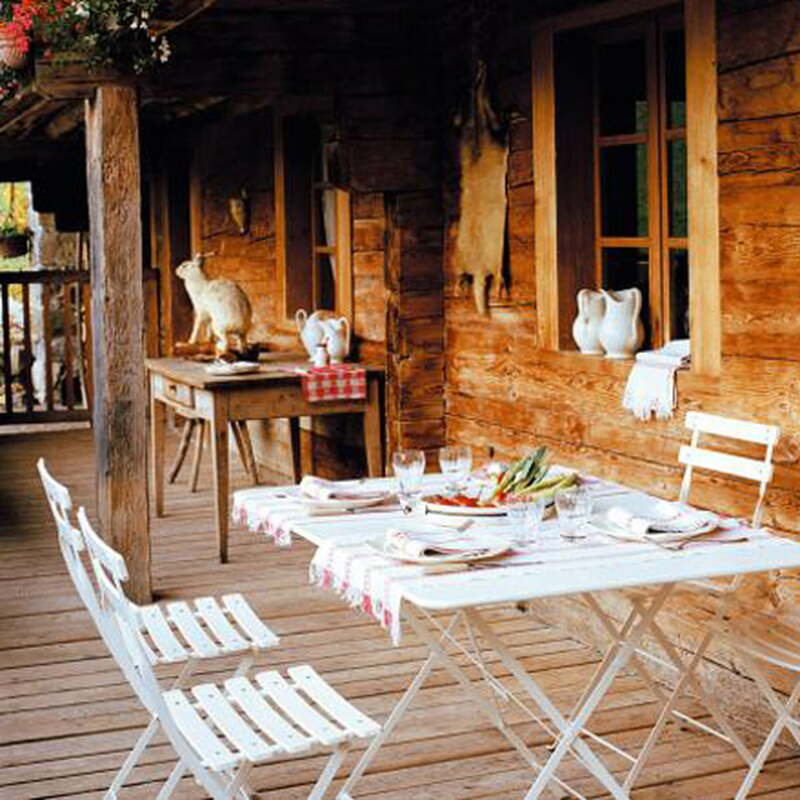 This was particularly advantageous for café owners in 19th Century France, as the ability to quickly store furniture indoors saved them the tax on having a permanent terrace. The Fermob garden table features a small hole in the centre of the table top, which functions as a practical place to put a parasol. Parasols and umbrellas with a rod diameter of max. 41 mm can be fitted through the table top. Today, the spirit of the Bistro collection has not lost any of its charm. The leading French manufacturer for outdoor furniture, Fermob, has taken on the Bistro collection and reworked it for modern use. The rectangular folding table looks just as inspired and attractive as when it was first developed – making it a classic table for modern times. As part of the Bistro collection, the foldable table is available in either a round or rectangular shape in various sizes and in more than 20 different colours. Individual product image of the Bistro folding table 77 x 57 cm by Fermob in cotton white. 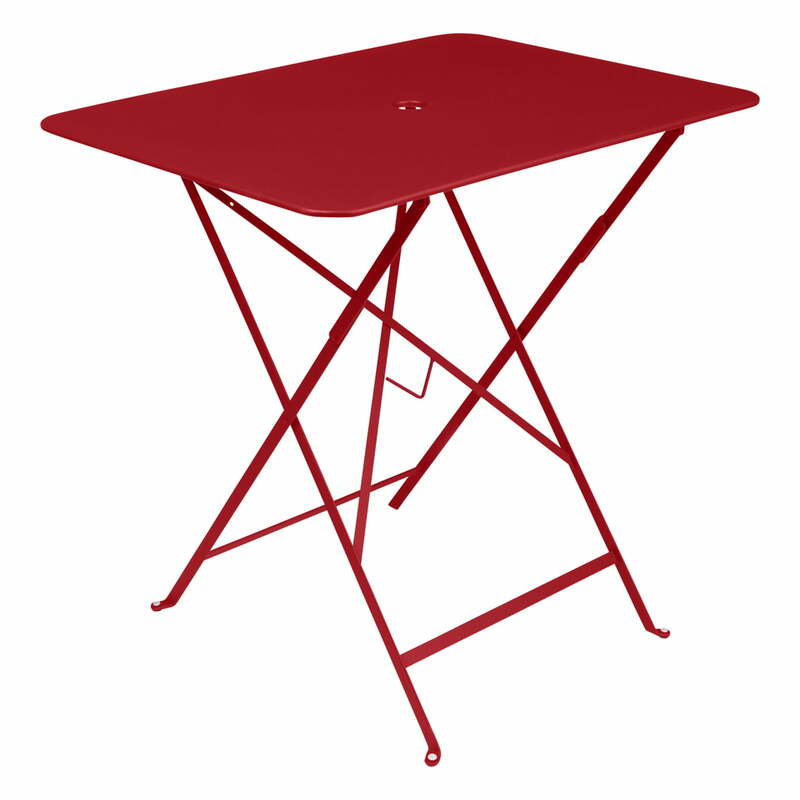 The Bistro folding table 77 x 57 cm by Fermob had already been designed in 1889 alongside the other foldable furniture from the Bistro furniture collection. Authentic, harmonic and available in many different colors, the Bistro outdoor furniture collection by Fermob was and is an ideal companion for terraces, gardens, and balconies.